We all need heroes, don’t we? They don’t need to wear a cape or have superpowers, but they must make a difference to our lives, in a good way. They don’t have to make the world better or safer, but they must stand for something admirable, positive, aspirational, even life affirming. 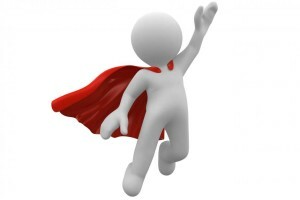 So where are the IT heroes? Maybe the subject is too dry and geeky, too work-a-day, or too commercial to foster any real hero worship? When I started thinking about my list, I rejected a lot of the more recent high profile superstars of Silicon Valley (and Seattle), so no Bill Gates or Paul Allen (Microsoft), Steve Jobs or Steve Wozniak (Apple), no Mark Zuckerberg (Facebook), God forbid! I don’t really know many of the real ‘back-room’ technologists or scientists that make the rich world of tech what it is today – so de facto they can’t be very inspirational for me. 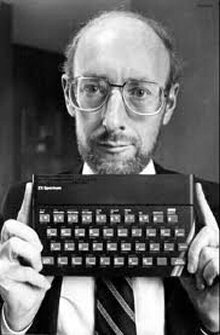 Another British Knight of the Realm and inventor of the ZX80, ZX81 and ZX Spectrum, the hobby computers that first turned me on to the technology that has been such a big part of my life since. I learned to program in BASIC, as did almost all my peers in the 1980’s, played ping-pong on my TV, and if memory serves did very little else! But, I guess from small acorns…except in Sir Clive’s case and the ill-conceived C5 electric car. Oh dear. Fast forward to my first real job in the industry as an Analyst/Programmer in Insurance, working with big IBM mainframes in the late 1980’s. Fred Brooks, an exotic American wrote about the development of the software in his seminal book ‘The Mythical Man-month’, at the time the most complex man-made system on the planet. He wrote with intelligence and wit and made the subject interesting – for me at least. A bit later in my career as I moved from programming towards the ‘softer end’ of Business Analysis and modeling, I started to appreciate the work of the ‘3 Amigos’ Ivar Jacobson (Use Cases), Joseph Rumbagh & Grady Booch. Together they created UML, the Unified Modelling Language, a set of elegant connected diagramming tools & techniques that enable us practitioners to make sense of business and IT systems. Although a troubled individual, Turing was a genius and way ahead of his time in developing the basic tenets of the new discipline of Computer Science. His philosophical education also enabled him to create the Turing Test for artificial intelligence, still used today to assess the ‘thinking’ computers for any real signs of sentience. If the name rings a bell, its probably because his life as part of the team that cracked the wartime German Enigma Code was recently featured in the film The Imitation Game. I’m conscious that this is a very white, male list, for which I won’t apologise as it’s a very personal thing, and not meant to be PC (no pun intended!) I’m very much a product of my age, country of birth and experiences. However, there is at least one important female that I would like to mention, Ada Lovelace, the world’s first computer programmer, daughter of Lord Byron and pupil of Charles Babbage (inventor of the world’s first computer, the Difference Engine in 1822). Her fascinating life is covered in this excellent blog post. So, which IT heroes would you pick? As always, thank you your comments and feedback are welcome. Tim, Clive & Alan would all get my vote too. I hadn’t heard of the others.